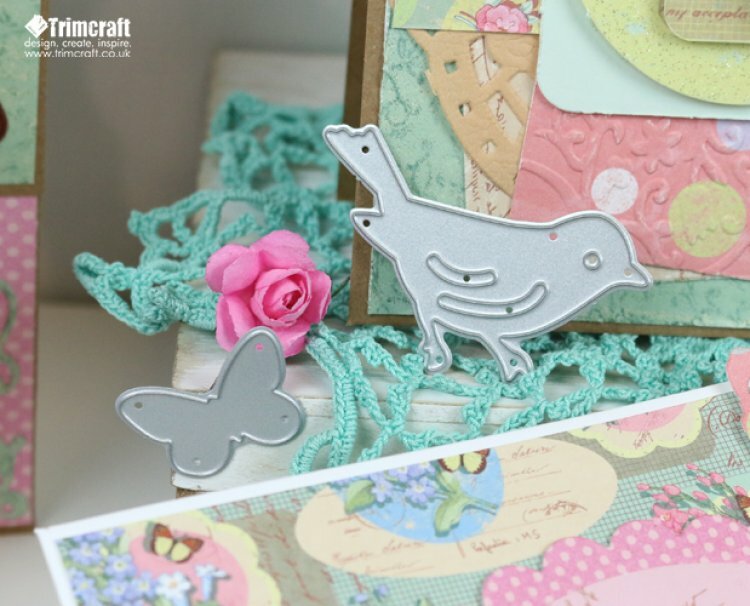 Tailor your crafts with Dovecraft’s charming papercraft collection, Couture du Jour. Peer inside the stylish paper pack to find chic illustrations amidst a delicate & fresh colour palette. The intricate designs of gowns, florals and accessories will enable you to achieve the perfect, boutique feel on each make. Coordinating with the beautiful vintage papers, the collection also features a glittered decoupage pad, pearls, clear stamps, heart accordion stickers, die cuts, paper flowers, ribbons and more to help you capture a delicate and feminine feel on each project. Brilliant for creating detail, the Couture du Jour pegs are designed in a soft pink and blue colour palette and include printed repeat patterns of polka dots, butterflies and the sentiment, ‘Love’. With this gorgeous collection by your side, you’ll be able to give each craft a fabulous designer look! Itching to get your own selection of goodies? The Couture du Jour collection will be available in shops by the end of October! We look forward to seeing how you all use this papercraft collection in the project gallery!